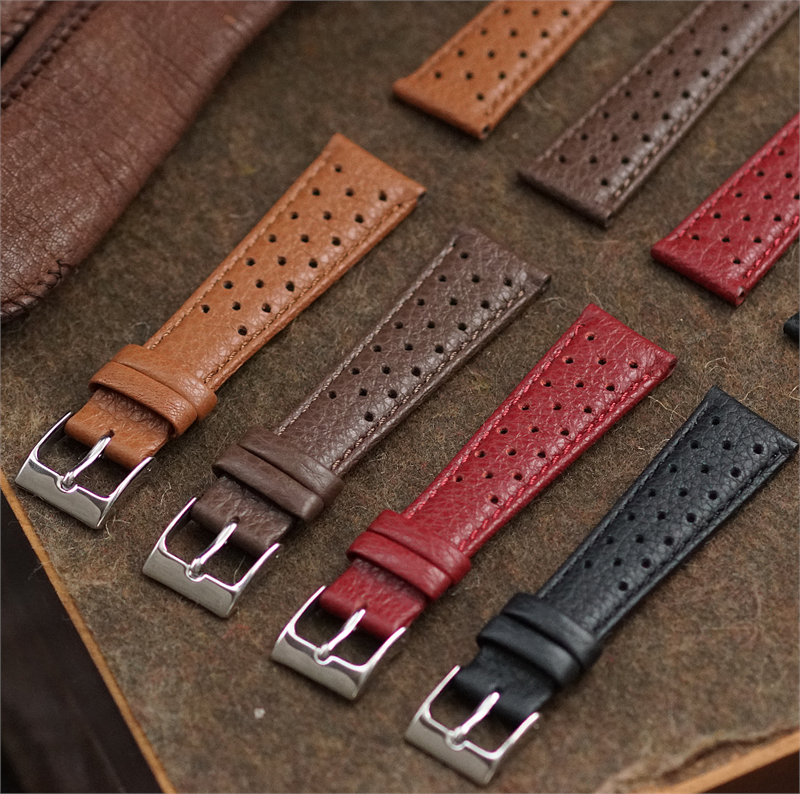 Grand Prix, the latest addition to our racing strap line with a more traditional approach. 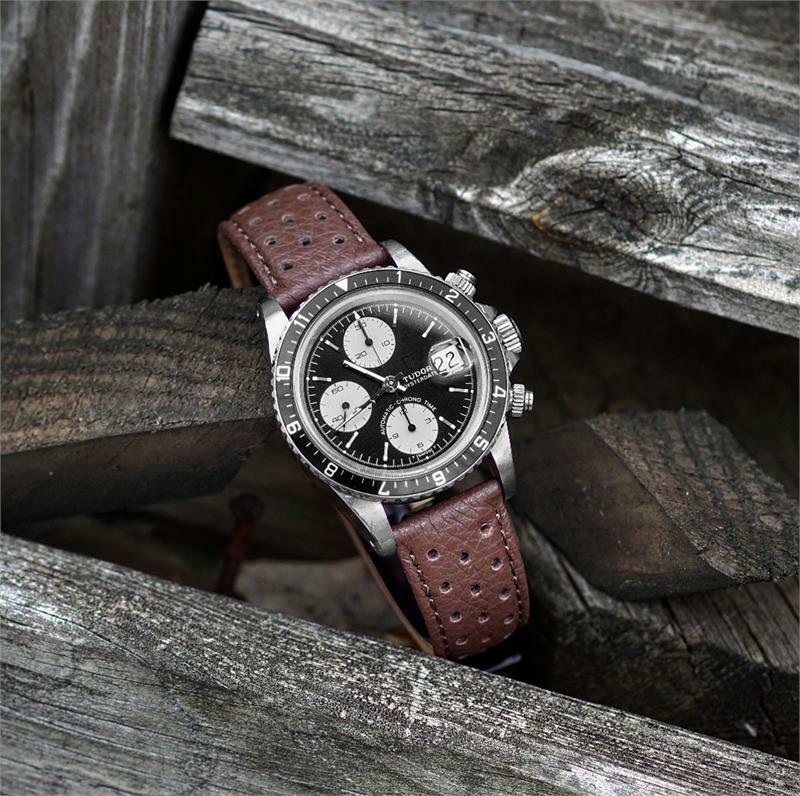 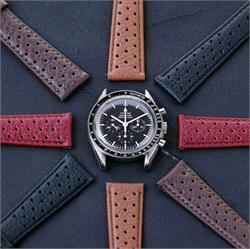 We love pairing these straps up with chronographs from the likes of Heuer & Omega. 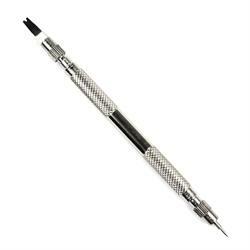 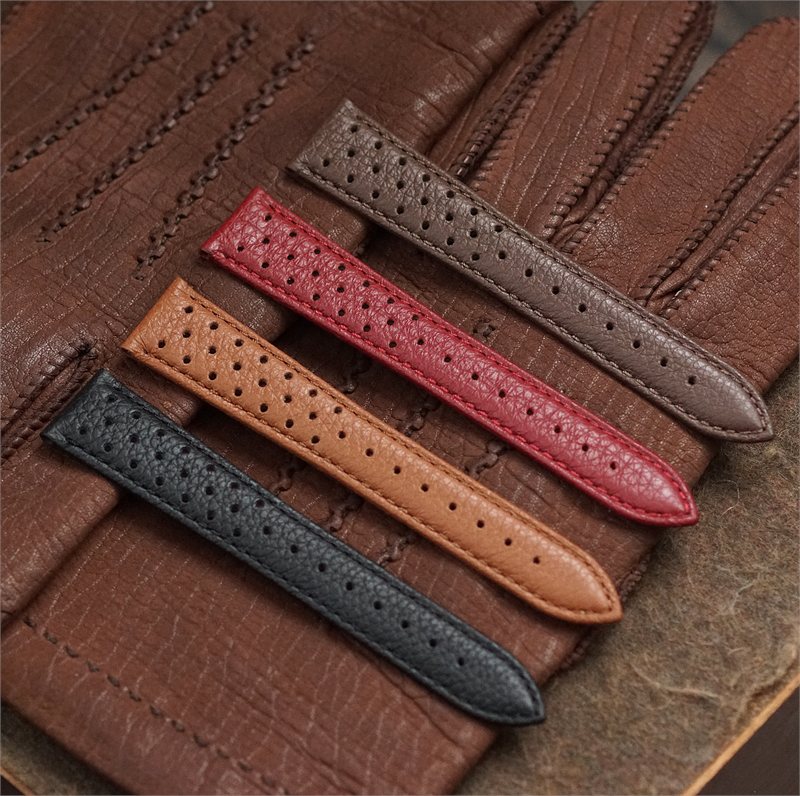 Crafted from a beautiful Italian leather that has a marbleized grainy texture. A timeless perforated design is applied to the strap making the strap more breathable and giving it that awesome racing look. 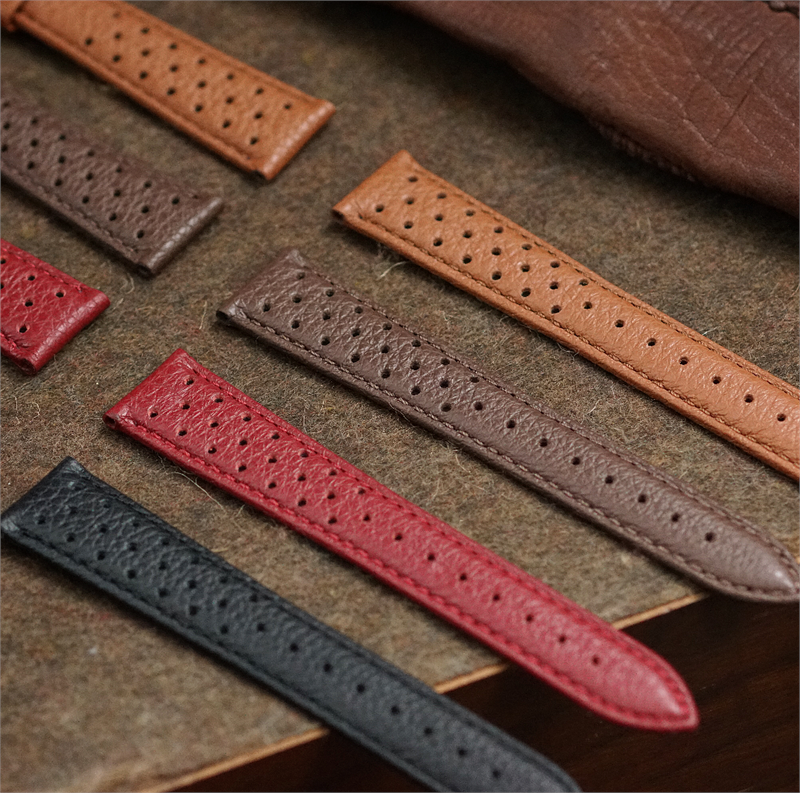 The strap is lightly padded and fully leather lined to maximize comfort. 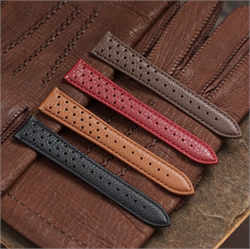 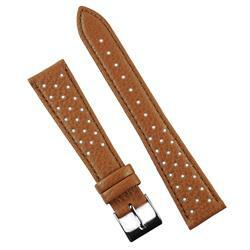 Adding to the elegance of the strap is a sleek taper, matching stitch, and classic stainless steel buckle.